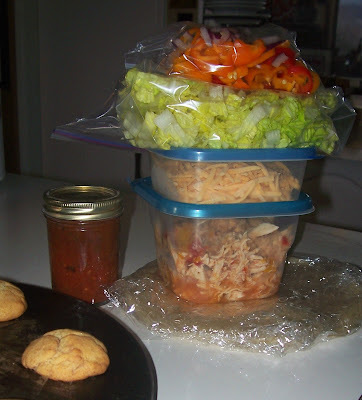 4RE's post with the chicken recipe was about making a little extra for a friend. I have a friend who has a sick mother, so I think I will throw some extra in for her family, too, and while I'm at it, make some of those yummy snicker doodles Sandy made to go with the chicken. Brie baked with pineapple preserves, crackers, Prosciutto Panino (I bought this log of mozzarella and prosciutto from Costco and I'm not sure what to do with it. I think I will slice it and serve on crostini. Any advice on this one? 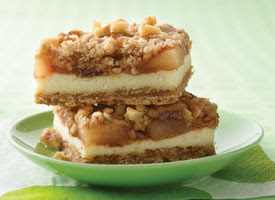 ), and Apple Streusel Cheesecake Bars from Tea in My Cup. I've never tried this but they look yummy. I'll let you know how it goes. Pizza. I'm putting goat cheese on mine. Yumm. Carne Asada (Bill Bailey's from Costco). This stuff is awesome and too easy. I would love to stop by the international market and find some uncooked flour tortillas to go with. There is no better tortilla friends! 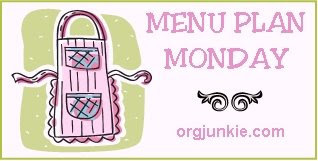 Stop by I'm an Organizing Junkie for more menus and recipes! Awesome! I love bunco! Everything sounds so yummy. :) I would love to come over and eat with you guys haha way better food than what I'm getting LOL. I agree...the uncooked tortillas are the best! I buy mine at Costco in the refrigerated section. YUM! Let us know how the recipes turn out. It sounds like you love Costco about as much as I do. I could live there.